Which English club can go the furthest in the Champions League? Champions League action returns to screens and pitches this week with four of the eight fascinating Last 16 first-leg duels set to be contested across the continent on Tuesday and Wednesday evening. This year, the competition has a decidedly open feel to it, with many of the pre-tournament favourites failing to fully convince during the initial Group Stages before Christmas. With their European rivals showing signs of weakness and fragility, more opportunities than usual could open up for the Premier League teams gunning for Champions League glory in June. Last season, Liverpool became the first English club to reach the Champions League Final since 2012, and the winners 7 years ago in Munich, Chelsea, remain the only Premier League team to have lifted European football’s most prestigious trophy in the last decade. With a strong quartet of English combatants still in this year’s competition, could this season finally be the campaign where the Premier League produces a long overdue Champions League winner? 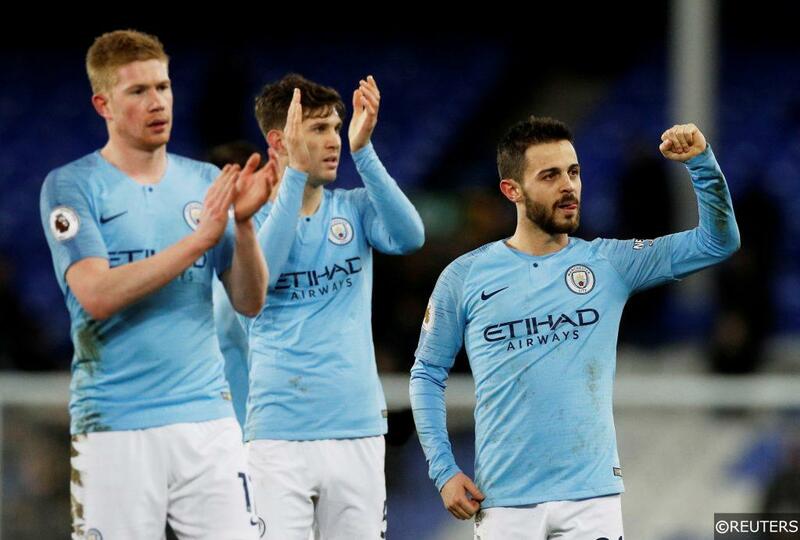 At 10/3, Pep Guardiola’s Premier League champions and current table toppers Manchester City are the bookmakers’ favourite to land Europe’s biggest club prize this season. City coasted through the UCL Group Stage with relative comfort, losing just 1 of their 6 matches, scoring 16 times in the process. Only Ligue 1 giants PSG hit the net more often than free-scoring City’s during the opening stage of the competition. A double-header with Bundesliga strugglers Schalke 04 was just about the easiest draw City could have asked for in the Last 16, and the Citizens are priced at an incredible 1/50 to eliminate the German outfit over two legs. City have only made it past the Quarter Final stage of the Champions League once in the club’s history, though the Citizens have never had a bigger chance to go all the way in the competition than this season. Guardiola’s charges look great value at 10/3 with bet365 to win the Champions League outright, while odds of 13/8 for them to reach the Final itself are also well worth considering. The rigors of an intense Premier League title race against two of the division’s other Champions League hopefuls, Liverpool and Spurs, could have huge implications for all three of the aforementioned clubs however. Though, with the depth of options at their disposal, City look the best equipped of the three to maintain an assault on multiple fronts. In many ways, the biggest obstacle facing Liverpool in their quest to reach successive Champions League finals this season, is the club’s desperation to land the Premier League title. In terms of priorities, Liverpool’s supporters would unanimously choose domestic over continental glory this year, and who could blame them? 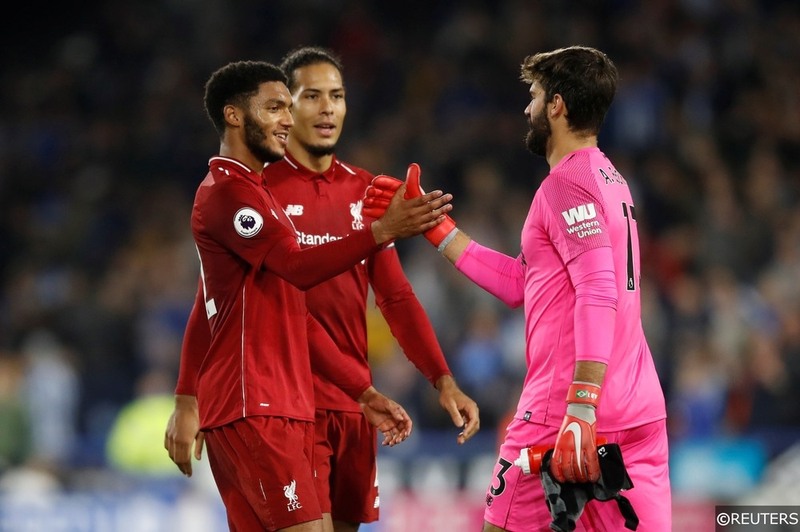 The Reds have a genuine shot at ending their 28-year wait for an English league title this season and their focus will understandably be trained in that direction. Liverpool’s sensational run to last year’s Champions League final was undoubtedly aided by their lack of Premier League title race involvement. Jurgen Klopp heavily rotated his team in the league fixtures between Champions League knock out rounds last season – a luxury he won’t be able to afford this time around. Even with their continental focus not quite as sharp as it was last year, Liverpool remain one of the Champions League’s most dangerous attacking outfits, and most of the competition’s remaining teams will want to avoid coming up against the Merseysiders. However, as formidable as they are, the Reds didn’t come through their Group Stage unscathed – they were one of only two teams, along with Roma, to have lost 3 of their 6 matches in the competition’s opening phase. Nevertheless, Liverpool are favourites to come through their Last 16 two-legged tie against a hit-and miss Bayern Munich, though their chances of matches last-seasons heroics in the latter rounds might not be as high. It remains to be seen how well Jurgen Klopp can manage his resources when they are stretched in two opposing directions, and if the German coach is forced to prioritise, he is almost certain to put all of his eggs in a Premier League shaped basket. At odds of 28/1 to win the 2018/19 Champions League outright, Tottenham are approximately as low as 11th favourites to lift the trophy out of the tournament’s 16 remaining clubs. Having failed to make it past the Last 16 of the competition in any of their most recent 3 seasons in the tournament, Spurs have little recent Champions League pedigree. Tottenham did wonderfully well to qualify for this season’s knock out stages from a Group that they shared with Inter Milan and Barcelona. Spurs’ performance at the Nou Camp was particularly impressive and an indication that Mauricio Pochettino’s men are capable of going toe-to-toe with the competition’s biggest hitters. 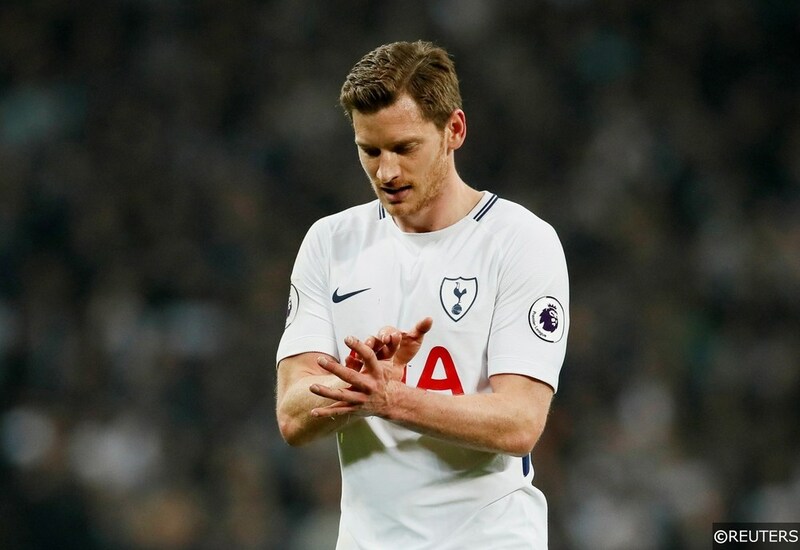 However, Spurs have had to contend with some rotten luck with injuries over the past month. Shorn of the goal-getting talents of Harry Kane and Dele Alli for their first leg tie and possibly their second leg fixture against Borussia Dortmund, Spurs chances of progressing to the Quarter Finals look to have reduced considerably. Bundesliga leaders and Dortmund will be formidable opponents, though Spurs confidence will be buoyed by the fact that beat the German side home and away in the Group Stages of last season’s Champions League. Harry Kane scored 3 of the 5 goals Spurs plundered over those 180 minutes in 2017/18 however, reiterating just how bit a loss the England centre forward is likely to be this time around. Read our comprehensive Tottenham vs Borussia Dortmund match preview, predictions and betting tips here. If Spurs can somehow find a way to squeeze past Dortmund over two legs, Harry Kane and Dele Alli could return from injury just in time, fresh and ready to make Tottenham a dangerous Champions League dark horse. 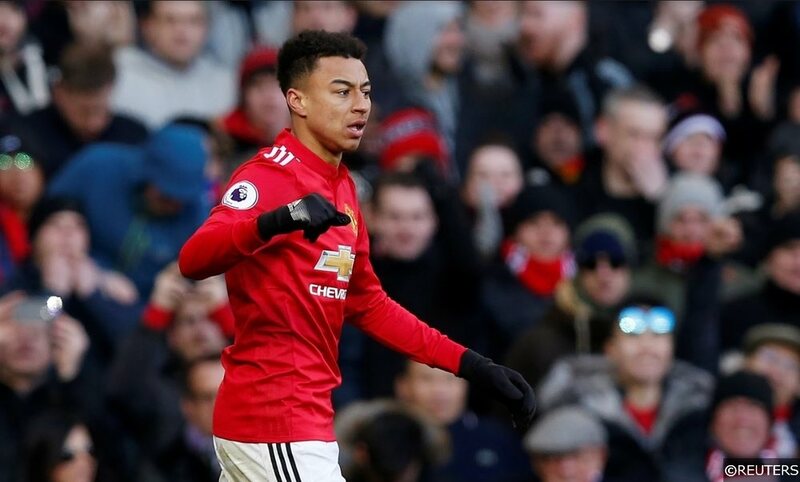 Even though they are still unsurprisingly priced as a bit of a long shot by the bookmakers, Manchester United’s Champions League winning odds have been shortening week on week with every resurgent step they take under caretaker boss Ole Gunnar Solskjaer. United struggled in the competition’s Group Stage under previous boss Jose Mourinho, and they needed a hefty dollop of luck to pull enough points together to qualify for the Last 16. When the draw for the first knock out round was made, United looked dead and buried when they were paired with French champions Paris St. Germain. However, injuries to some of the Parisians’ key players coupled with the huge spike in performances at Untied has reversed opinion on which of the two clubs are most likely to progress to the Quarter Final. For United, securing a healthy first leg lead against a weakened PSG side is of paramount importance to their overall chances of knocking Thomas Tuchel’s side out. But even if they dispose of their antagonists from France over two legs, it’s difficult to ascertain just how deep this United team can go. Read our detailed Man Utd vs PSG match preview with predictions and betting tips here. United’s unpredictability could make them a difficult team to combat, though even with the stark improvements they have made, you still get the feeling that they are just as likely to crumble as they are to conquer, especially against the battle-hardened teams they would likely face in the latter rounds. You can get a whopping 9/1 odds with bet365 if you think all four Premier League clubs can make it to the Quarter Finals of the 2018/19 Champions League. Categories: Betting Strategy, Blog, Champions League, and Football. Tags: champions league betting, champions league betting tips, Champions League special, and UCL. Team Tag: Liverpool, manchester city, manchester united, and tottenham hotspur. League: UEFA Champions League. Sports: Football.